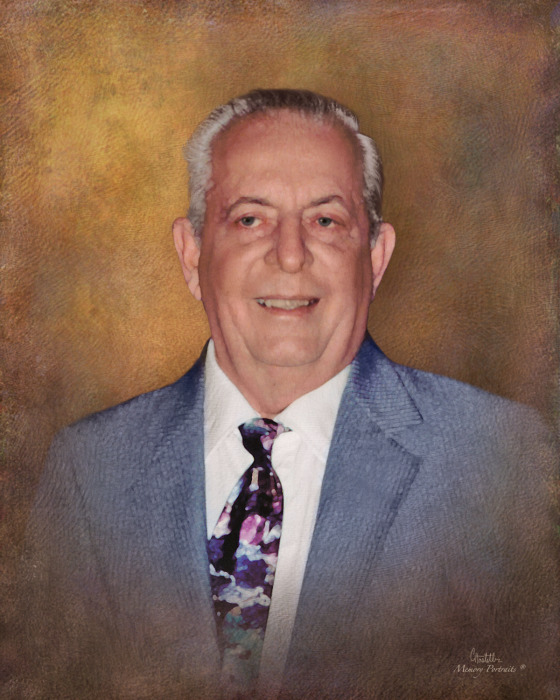 Obituary for Clyde A. Andreani | Mariscotti Funeral Home, Inc.
Clyde A. Andreani, 89, of Long Branch, PA, died peacefully on Sunday evening, March 25, 2018 with his loving wife of 62 years by his side. He was born Sunday, August 12, 1928, in Grindstone, PA, a son of the late William and Mamie (Duratz) Andreani. He was a member of the Grindstone American Legion, and the Rural Letter Carriers Association. Mr. Andreani was retired from the Coal Center Post Office where he delivered rural mail for 28 years. He proudly served in the Army during the Korean War. Clyde was a member of St. Katharine Drexel Parish in California, PA. He was a devoted husband, father, and grandfather. He loved sports, fishing, gardening and he especially loved to sing. In addition to his parents Clyde was preceded in death by three sisters, Catherine Latusik, Angeline Andreani and Betsy Rosendale and 3 brothers, William, Frank, and Ron Andreani. Left to cherish his memory are wife Filomena (DeBlassio) Andreani; four children, William Andreani of Winchester, VA, Alaina Zannino and husband Jim of Granger, IN, Claudia Pasierb and husband John of Chambersburg, PA and Clyde Andreani, Jr. and wife Sharon of Irwin, PA; one sister, Marietta Allamon of Grindstone, PA. Also surviving are six grandchildren, Bethany Abigail and Carilyn Pasierb and Marc, Brett and Sara Andreani and numerous nieces and nephews. Friends will be received in the Mariscotti Funeral Home, Inc., Anthony N. Mariscotti, Supervisor, 323 Fourth Street, California, PA on Tuesday, March 27, 2018 from 2-4 and 6-8 pm and until 9:30 am on Wednesday when prayers of transfer will be said in the funeral home followed by a 10 am Mass of Christian Burial in St. Katharine Drexel Parish’s California Campus with Fr. Jeremy Mohler as Celebrant. Interment will follow in Mount Calvary Cemetery where the American Legion will accord military rites.